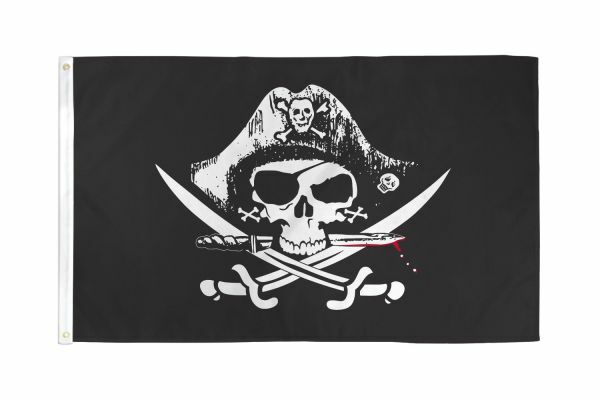 Our 3x5ft Polyester "Deadman's Chest" Flag has header tape and 2 metal grommets. The flag is dye-sublimated with beautiful bold colors printed on one side all the way through the fabric. This beautiful flag is double-stitched around all edges with 4 rows of stitching on the fly edge.